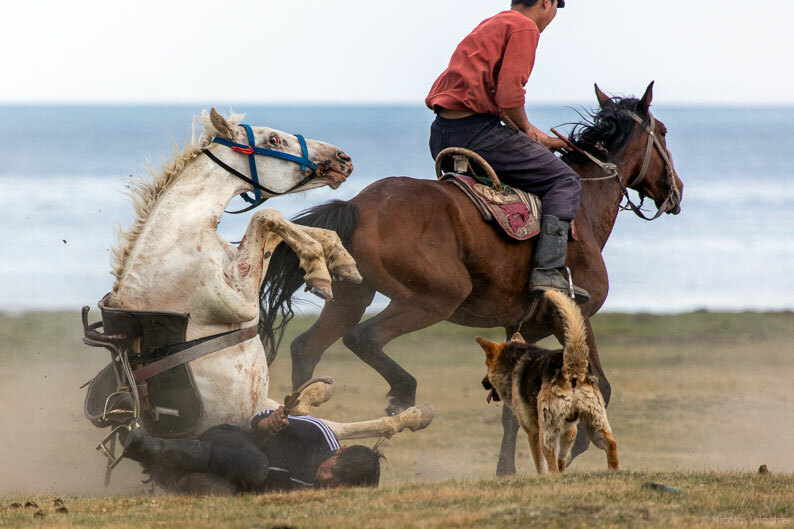 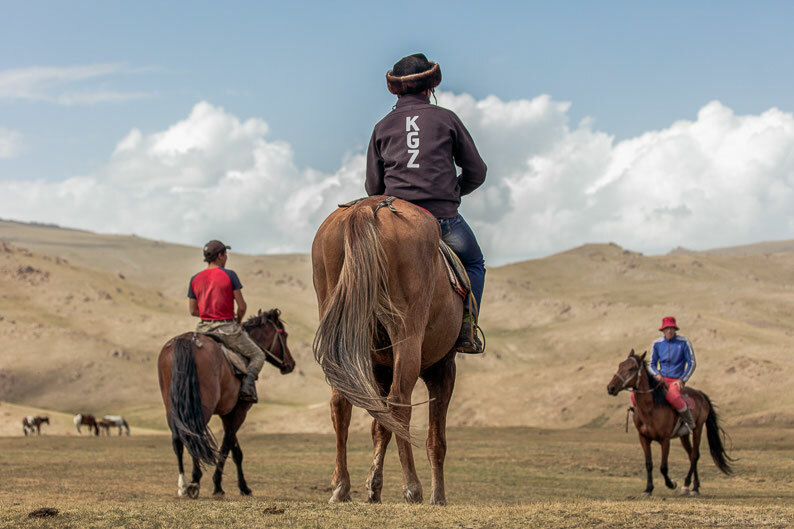 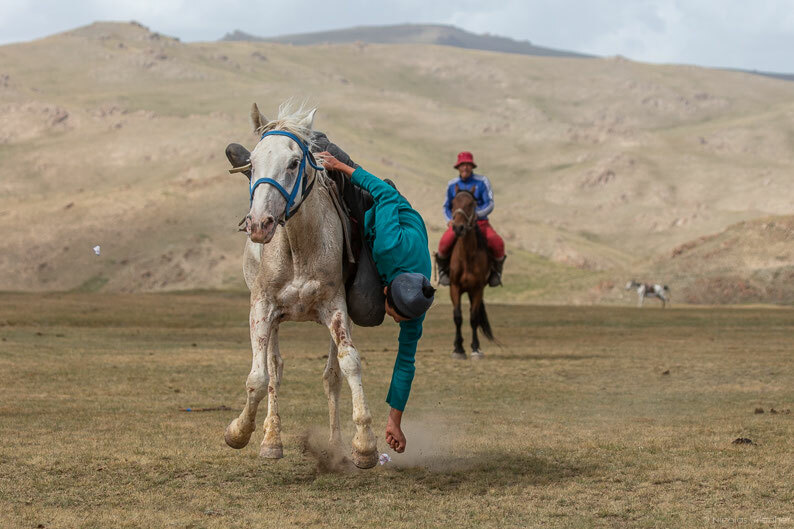 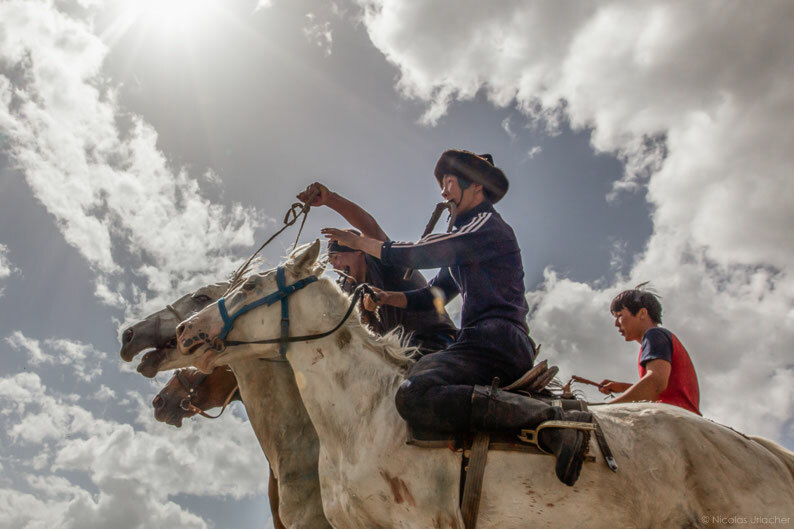 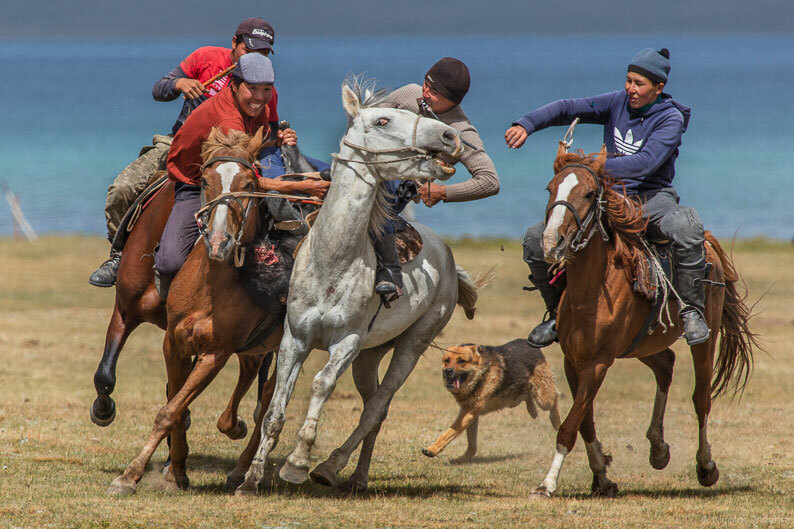 Ulak Tartysh means literally "pulling carcass" and is also known as Buzkashi, Kupkar or Kökbörü or kok-boru (meaning "grey wolf") depending on the country. 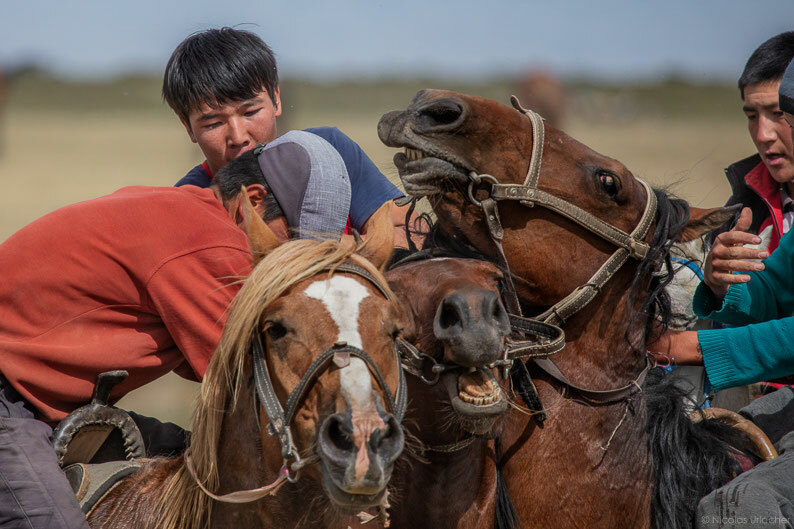 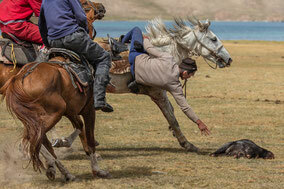 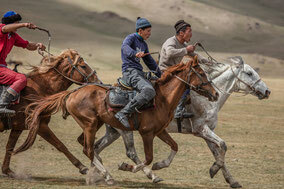 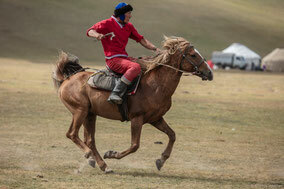 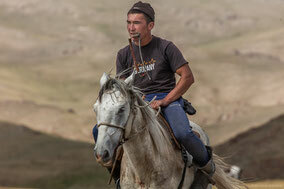 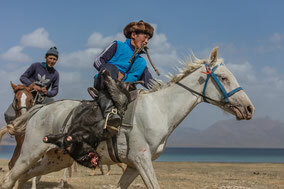 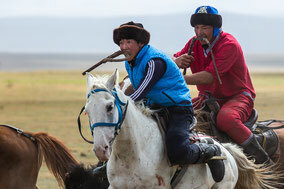 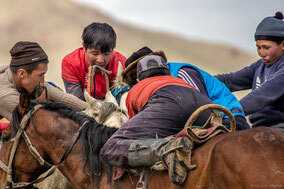 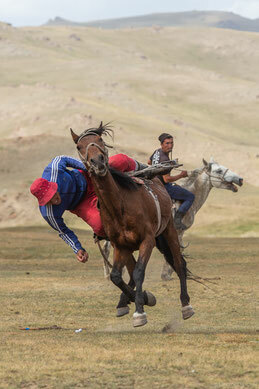 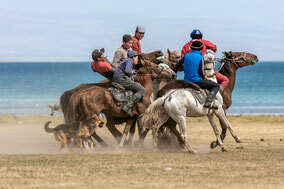 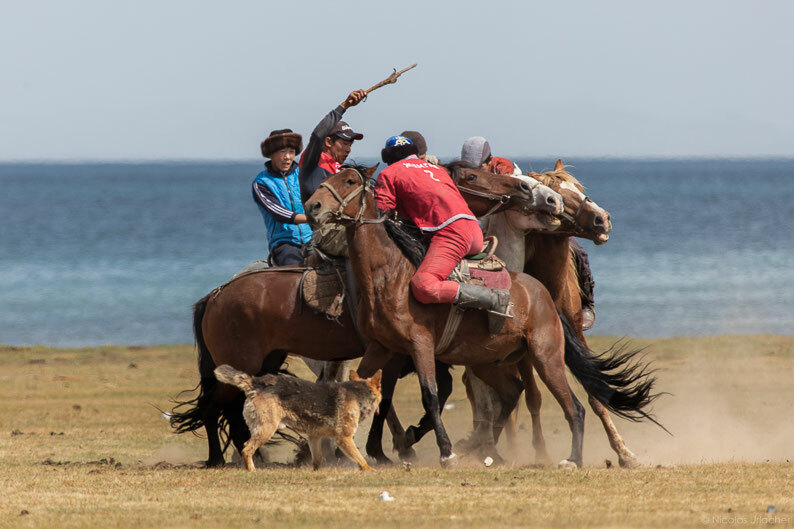 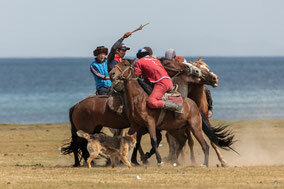 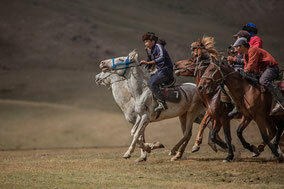 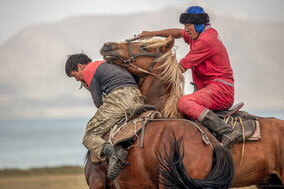 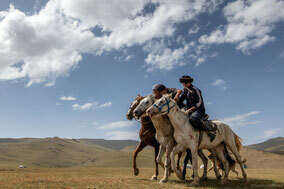 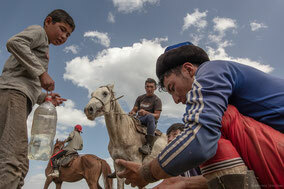 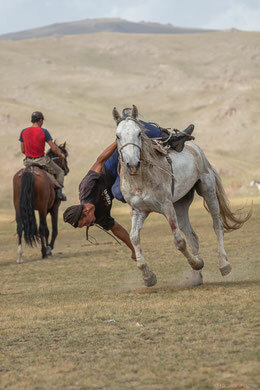 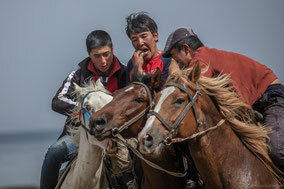 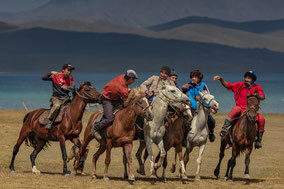 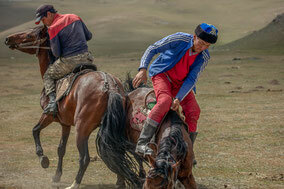 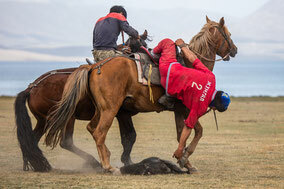 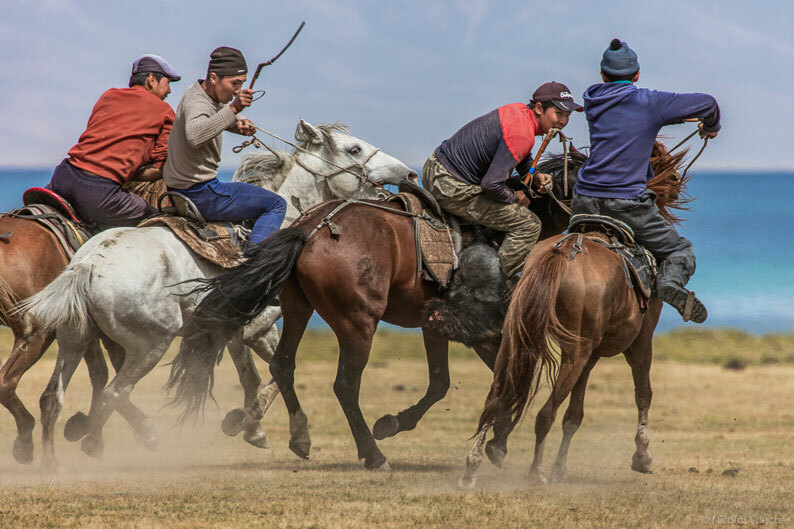 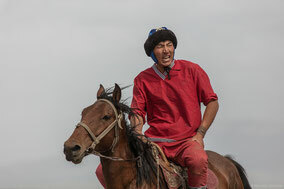 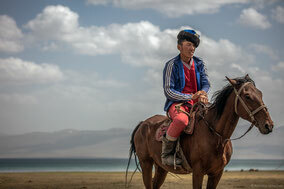 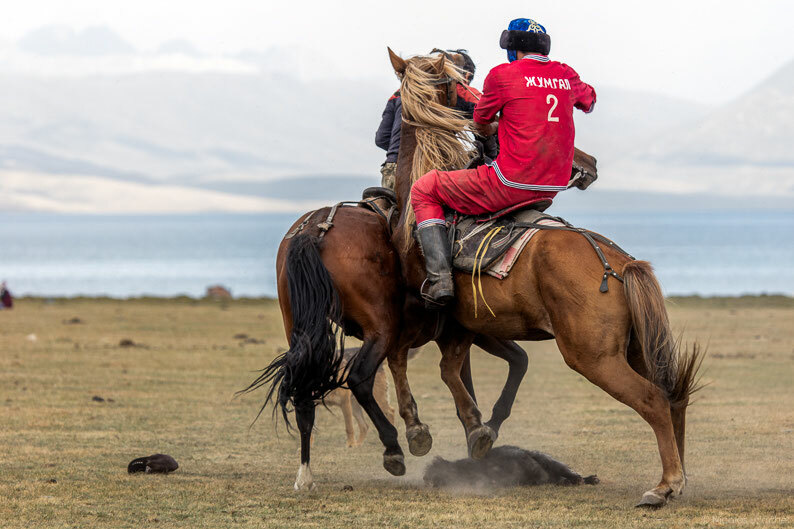 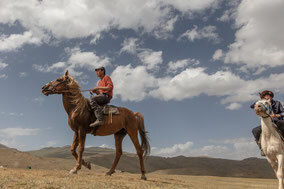 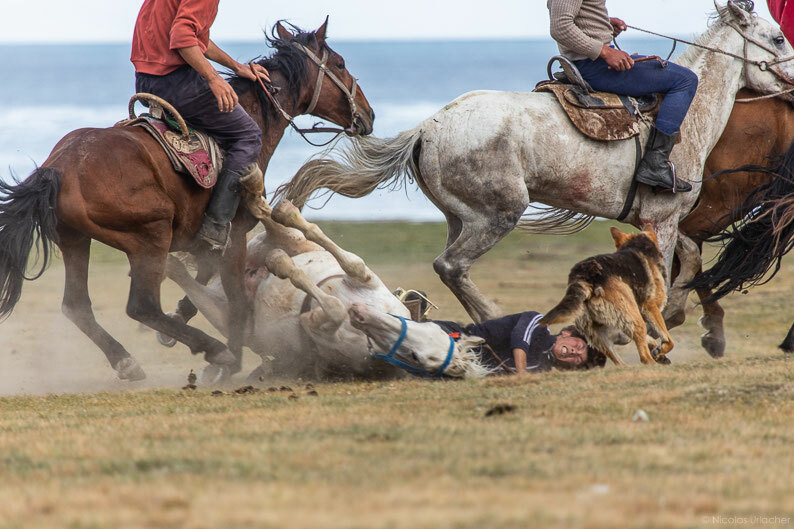 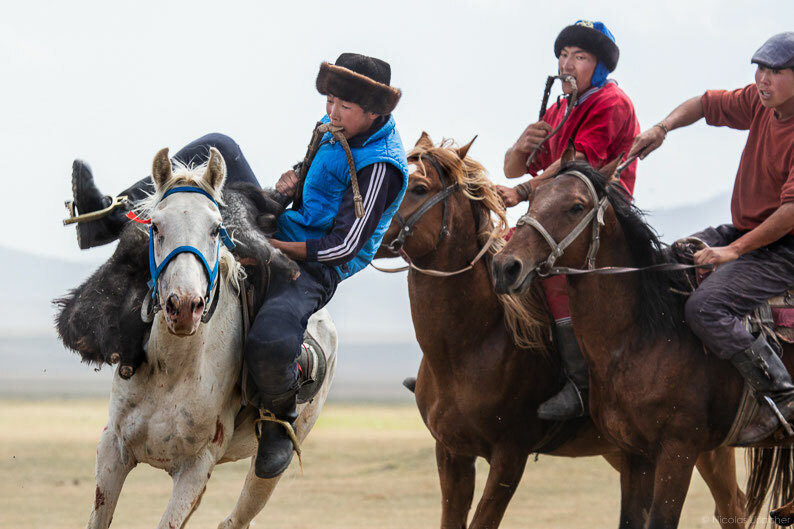 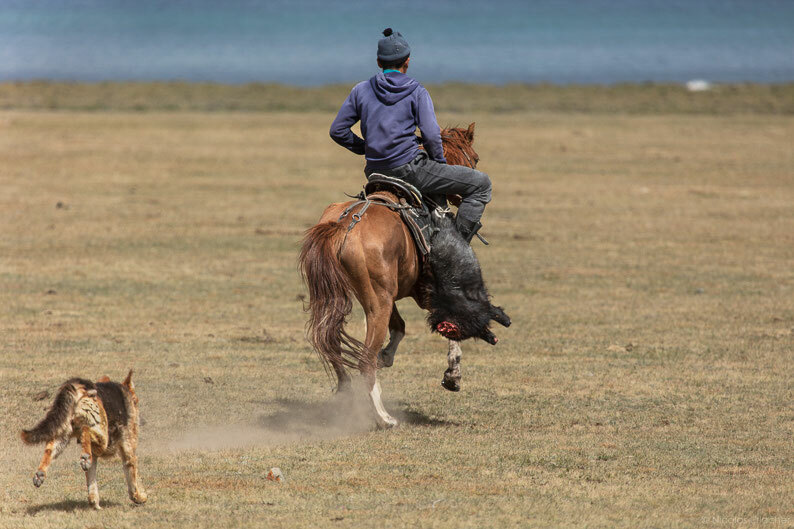 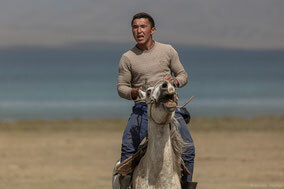 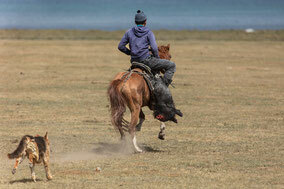 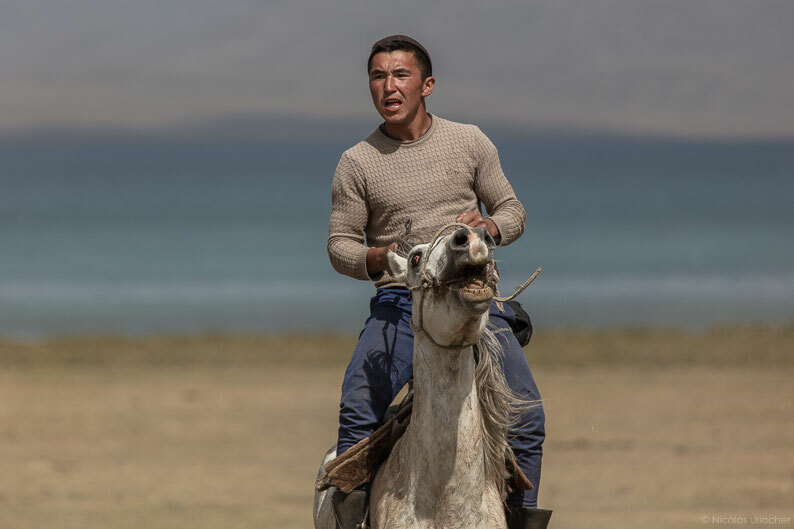 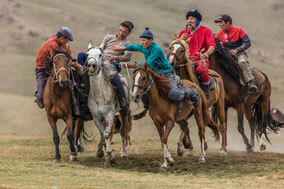 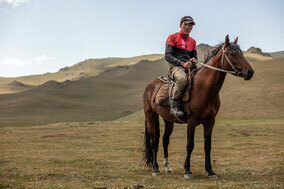 This sport is very popular in most of Central Asia and involves players on horseback and a goat's carcass. 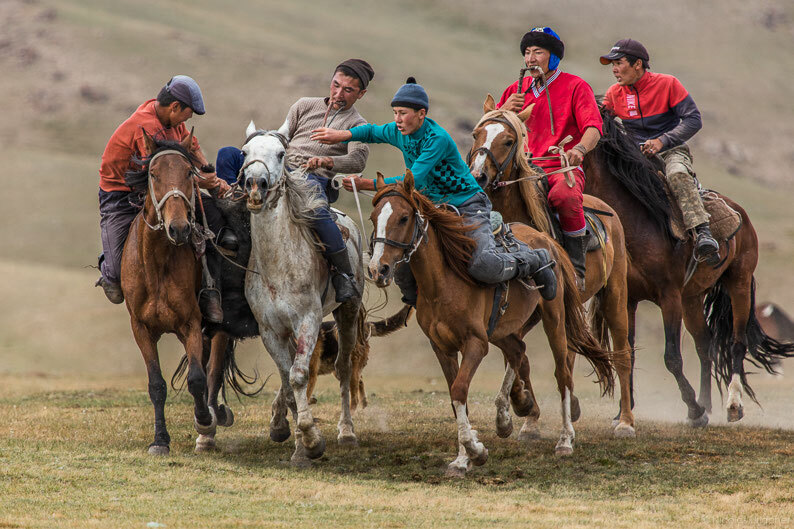 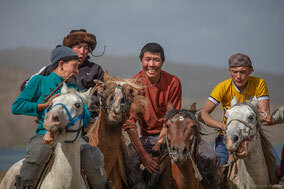 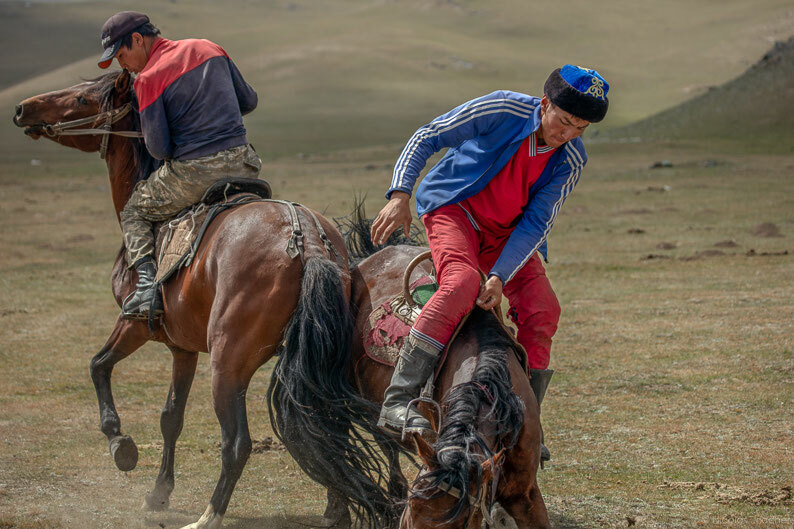 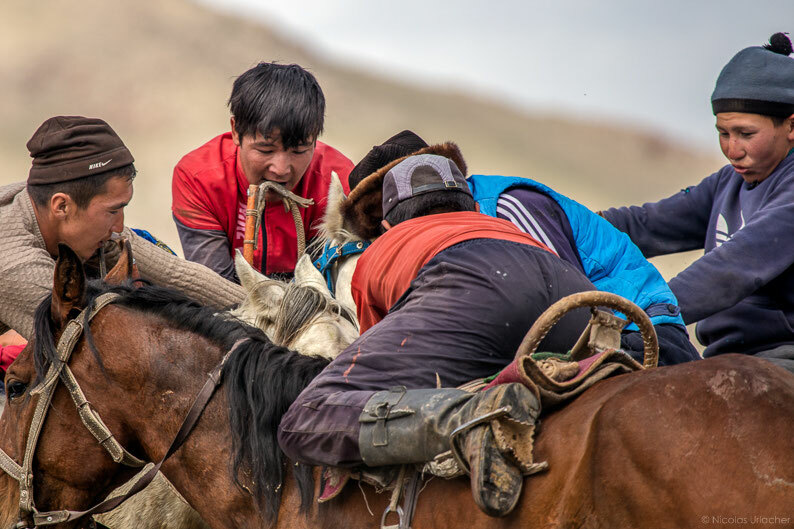 Buzkashi begun among the nomadic Turkic people who came from farther north and east spreading westward from China and Mongolia between the 10th and 15th centuries. 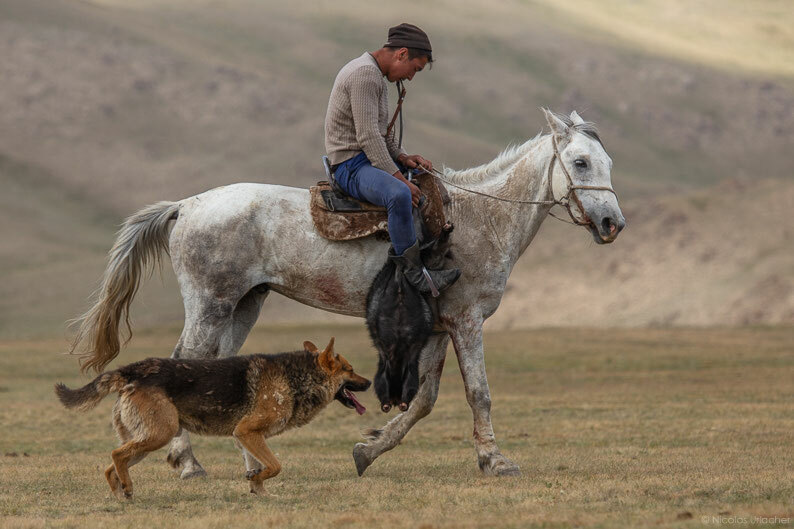 Apparently, the original game and name comes from Antiquity when herds of cattle grazed in the steppes and moutains all year long, exposed to possible attacks by wolves. Horse riders chased after the wolves until the wolves fell and beat them with sticks and lashes. 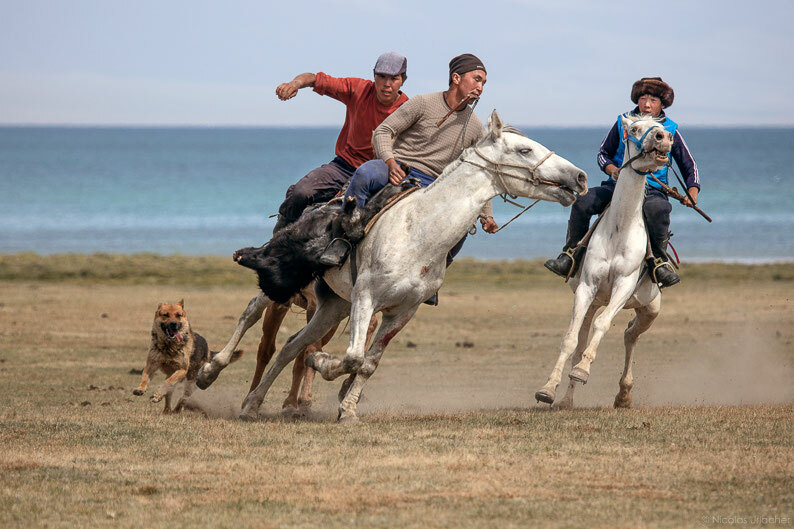 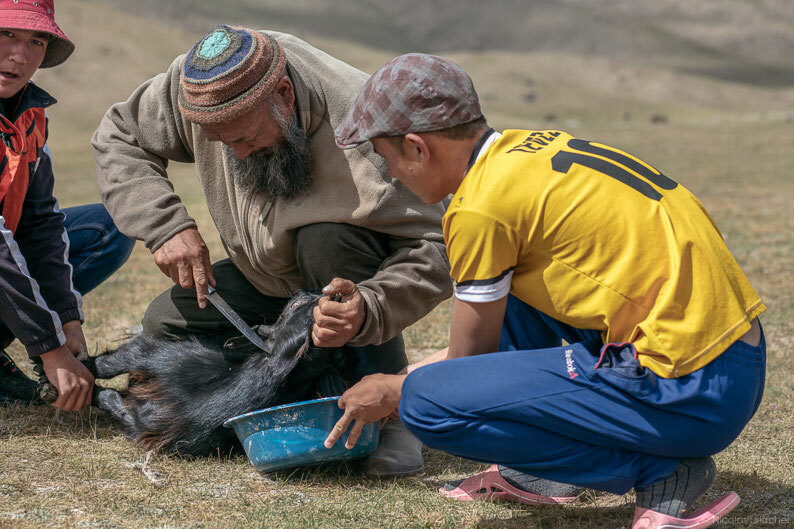 In this simple version of the kyrgyzh steppe, the goal is simply to grab the goat and move in any direction until clear of the other players. 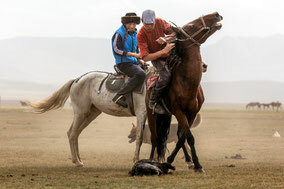 The players are allowed to pick up the carcass from any place within the limits of the field, take it from their rivals, pass or fling it over to the partners, carry it pressed to the horse's side or suspended between the horses's legs.